Analytical Sales PowerSELECTOR Heating/Cooling Column w/12-Valve Selector . New Life Scientific, Inc. 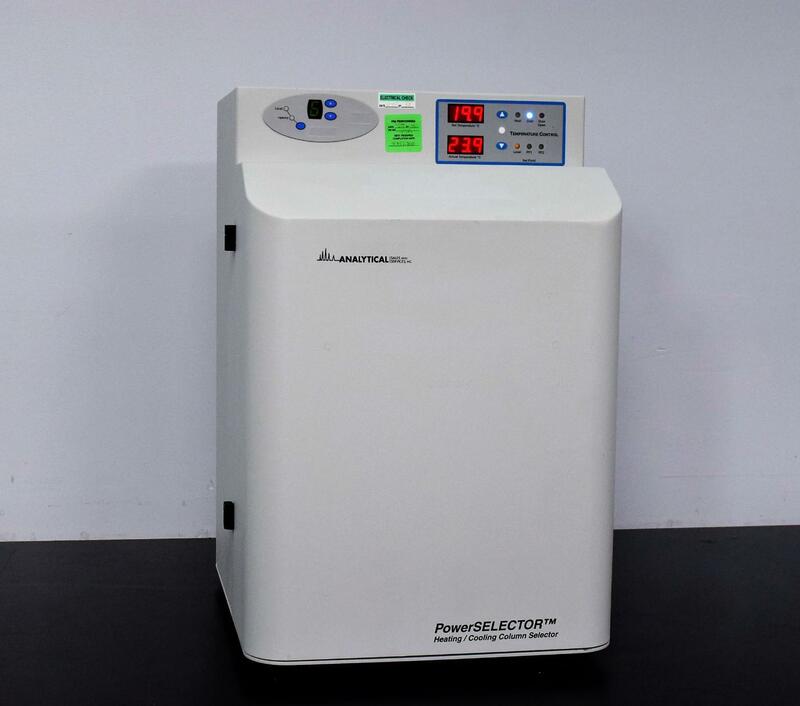 The PowerSelector is an essential unit used in the heating and cooling in Liquid Chromatography Columns. It promotes column stability for enhanced resolution. It appears to have been upgraded, as most come with only a 6-Valve selector. This has a Stainless Steel 12-Valve selector and a Peltier heat pump to switch columns while cooling or heating. These units are in excellent cosmetic condition with a few blemishes as shown in the gallery in the Six (Unit 1) and Seven (Unit 2) picture. Our technician ran the system up to 35ºC without any issues. The unit was calibrated to 40ºC and is due to have Preventative Maintenance done April 2018. The cooling of the columns is done via a fan and Peltier and meant to get 10 below ambient. Suggesting that this system is mainly used in heating applications.